Stand on the eastern most edge of the Australian continent at lifestyle capital and international tourism magnet, Byron Bay. 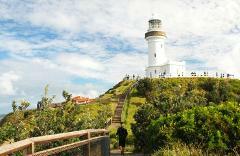 Travel from Queensland to New South Wales to the popular seaside resort town of Bryon Bay. 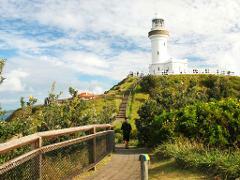 Explore at Cape Byron Lighthouse before enjoying a tasty lunch. It's then time to soak up the laid back Byron lifestyle that awaits you!